Diana Slade is Professor of Applied Linguistics, School of Literature, Languages and Linguistics. She is also Director of ANU Institute of Communication in Healthcare. Her major publications include Communicating in Hospital Emergency Departments (co-authored, Springer), Effective Communication in Clinical Handover: from Research to Practice (co-edited with Eggins, S. & Geddes, F.), Analysing Casual Conversation (with Eggins, S., 1997/2006, Cassell/Equinox). 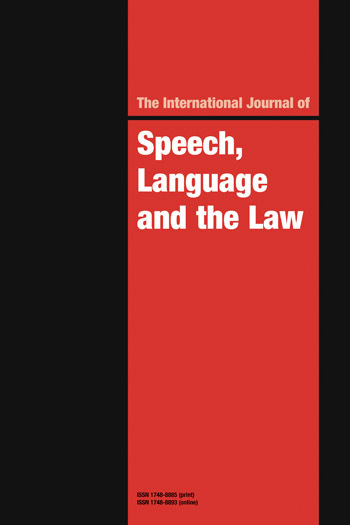 Over the last three decades there has been an ever-increasing interest in the analysis of spoken interaction. Work on casual conversation, which for a time was found to present virtually insuperable problems to the analyst, has now come to occupy as prominent a place as institutional interactions. 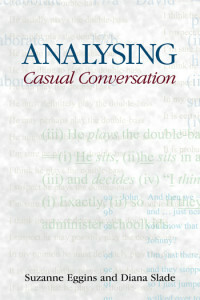 Many approaches to casual conversation have been partial, and the author’s own seminal publication with Suzanne Eggins, Analysing Casual Conversation(1997) was a milestone in demonstrating the value of locating the analysis in a broad framework that was inspired by Halliday’s Systemic Functional Linguistics. In this new book Slade amplifies and extends that earlier work, presenting original case material and expanding on her claim that the ‘chunks’ of genre-based analysis need to be supplemented by the concept of ‘chat.’ She presents a framework and the tools for describing the dynamics of both the macro and the micro structure of conversation as it creates and recreates social relations. All those whose interests lie in understanding how language works in casual conversation, whether in linguistics sociolinguistics, educational linguistics or cultural studies, will find this an essential read. Over the last three decades there has been an ever-increasing interest in the analysis of spoken interaction. Work on casual conversation, which for a time was found to present virtually insuperable problems to the analyst, has now come to occupy as prominent a place as institutional interactions. 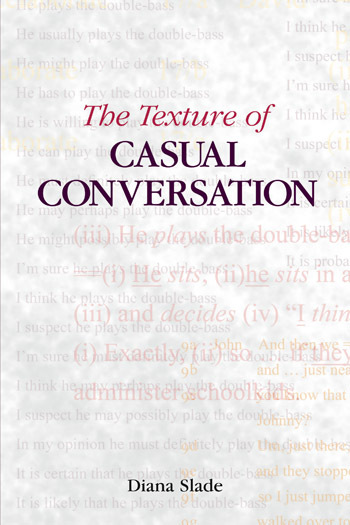 Many approaches to casual conversation have been partial, and the author’s own seminal publication with Suzanne Eggins, Analysing Casual Conversation (1997) was a milestone in demonstrating the value of locating the analysis in a broad framework that was inspired by Halliday’s Systemic Functional Linguistics. In this new book Slade amplifies and extends that earlier work, presenting original case material and expanding on her claim that the ‘chunks’ of genre-based analysis need to be supplemented by the concept of ‘chat.’ She presents a framework and the tools for describing the dynamics of both the macro and the micro structure of conversation as it creates and recreates social relations. All those whose interests lie in understanding how language works in casual conversation, whether in linguistics sociolinguistics, educational linguistics or cultural studies, will find this an essential read.